Obituary for Elva Marie Coyston | Providence Funeral Homes & Crematorium Inc. It is with great sadness that the family of Elva Marie Coyston (Clark) announces her peaceful passing on Saturday, April 6th in Penticton British Columbia. Elva was born in Baldur Manitoba on May 29, 1933 and moved with her family to Penticton in 1966. We take joy in knowing that she joins many angels including her husband Ralph Coyston, her daughter Corinne Johnson and her grandson Bryce Essler. Elva is survived by her children Sandy (Richard) Lyon of Okanagan Falls, Bud (Sandra) Coyston of Nelson, and Mona (Tony) Essler of Kelowna. 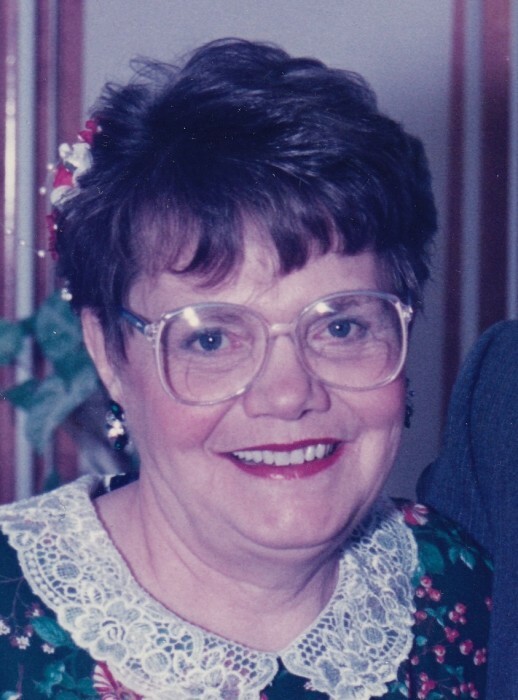 She was a loving Grandma to her grandchildren, Bryanne (Mike) Weinert of West Kelowna, Sterling (Rebecca) Lyon of Red Deer and Kristi (Ian) Field of Kelowna. She was also Great Grandma to Beau Lyon, Ellie and Mattias Weinert and baby Field who is due to join us in May and her son-in-law Bill Johnson. Elva is also survived by her sister Ila (George) Ward and many nieces and nephews. The family extends a heartfelt thank you to Doctor John Surkan for his amazing level of care of Mom and our family over many years. We also are so extremely grateful for the healthcare professionals who have looked after Mom so gently and lovingly at Haven Hill (Upper Apple) over the past 6 years. There will be a celebration of Elva’s life on Monday, April 15th at 1:00 pm at Providence Funeral Homes, Parkview Chapel, 1258 Main Street, Penticton with a reception to follow. In lieu of flowers, donations can be made to Ovarian Cancer Canada, 101-145 Front Street East, Toronto, Ontario, M5A 1E3 or www.ovariancanada.org/Donate/Donate-Now or to Alzheimer Society of B.C., #300-828 West 8th Avenue, Vancouver, B.C., V5Z 1E2. Condolences may be sent to the family through Providence Funeral Homes www.providencefuneralhomes.com.